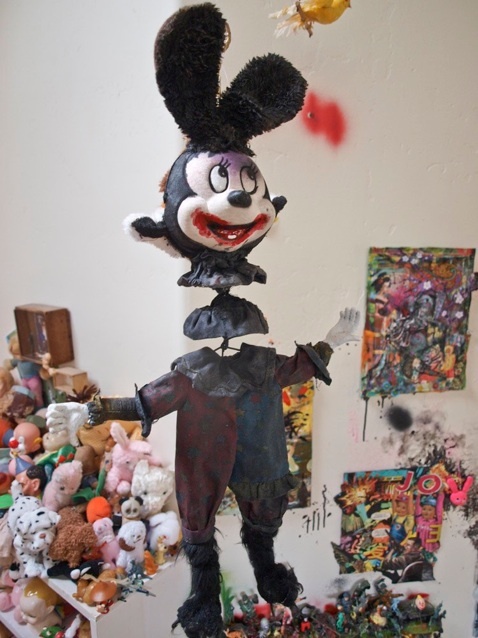 My current body of work utilizes a variety of mixed media and repurposed children's toys and belongings. Through assemblage, collage and installation, I explore the emotional and psychological terrain that originates in childhood and underlies our adult perceptions. While the majority of my formal art training has been in painting, I have historically produced mixed media assemblage work as well. In my paintings, I have often utilized collage materials to reinforce the textured, nonlinear narrative in my visual story telling. In my two-dimensional and three-dimensional pieces and installations, I have echoed a similar layering process by using repurposed found objects. Through multi-layered narrative, my intent is to provide the viewer with an opportunity to construct his or her own meaning. Themes emphasizing the contradictions between American cultural mores and expectations and the reality of an individual’s actual experience are the connecting threads running through all my work.